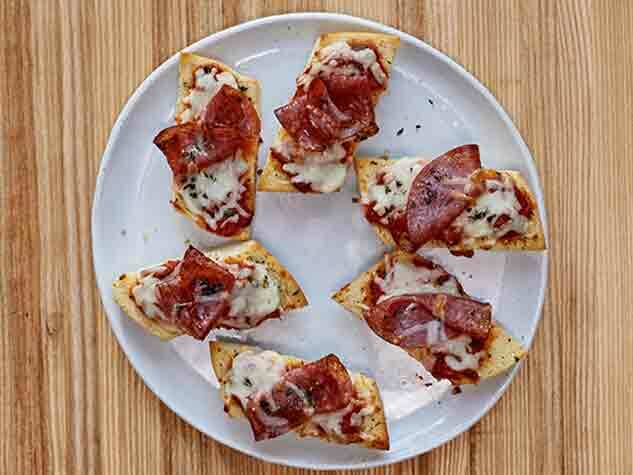 Amazing for brunch or dinner, these make-ahead, freezer friendly bites with Smoked Sausage, spinach and cheddar bake up in a half hour. 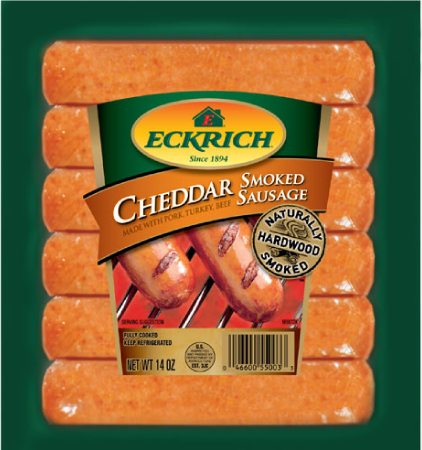 Dice the Eckrich Cheddar Smoked Sausage Links into 1/4" cubes, set aside. Combine eggs, Kosher salt and half & half in a medium mixing bowl and whisk until well bended. Alternately, a blender may be used to blend this mixture. Place 1 Tablespoon of olive oil in a small skillet, heat to medium. Add garlic, diced red peppers and spinach. Gently saute until the spinach is just wilted. Remove from heat. Pour egg mixture evenly into the cups of a 12-count non-stick muffin tin. 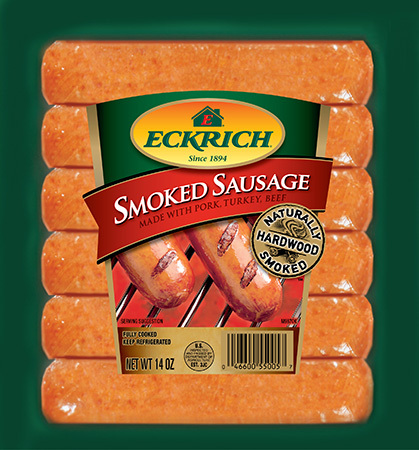 Add 1 Tablespoon of shredded cheddar cheese, a spoonful of the spinach mixture and top with diced smoked sausage. Bake for 15 minutes until golden brown and the center is set. Serve and enjoy! 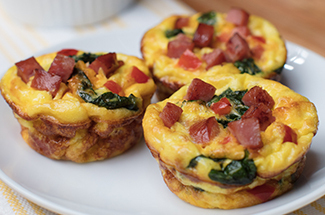 These mini frittatas are a perfect solution for breakfast on-the-go! Make these in advance, cool and then place in a freezer bag. 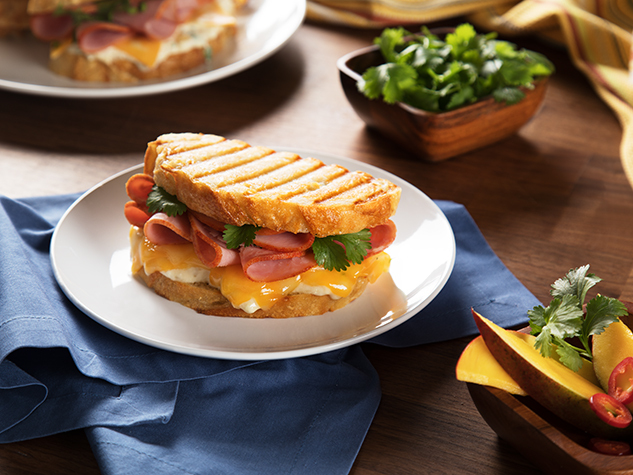 When ready to eat, remove from the freezer bag, and reheat in the microwave. 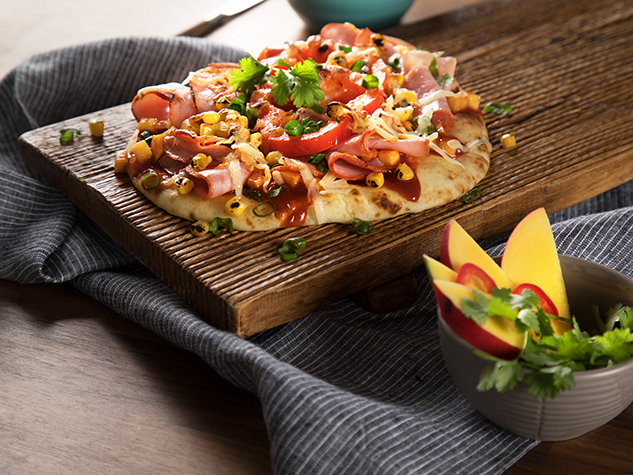 Or reheat several on a foil-lined sheet pan in a 350 degree oven for 15 minutes. - Try other precooked vegetables for a new flavor: corn, squash, peas, broccoli. - Add fresh herbs or arugula as a garnish.